Back in July 2012, I was in a local bookstore with my Mom perusing all the sparkly things. We love books and bookstores!! While walking through the aisle of magazines, a cover caught my eye and I reached for the Law of Attraction. I had never heard of this magazine before that moment. I leisurely flipped through the pages and was instantly hooked. I showed mom and told her how excited I was to read it from cover to cover. She said, “Oh it sounds great. I will read it after you!” I guess the look on my face must have said, back off my magazine, lady! because she quickly picked up her own copy and continued, “… you know, that is probably one you’re gonna wanna keep for yourself.” Ha! Mom knows me all too well. It wasn’t long before I had read the entire magazine. Soon, I returned to the same bookstore and purchased more copies for my friends. I felt inspired. If you’ve read Candy Coated Reality, then you know I only write when I’m inspired. I felt deep in my soul I wanted to be a contributor to this magazine. I scoured the pages, but couldn’t find any information on how to contact the editors. Then I turned to the internet. 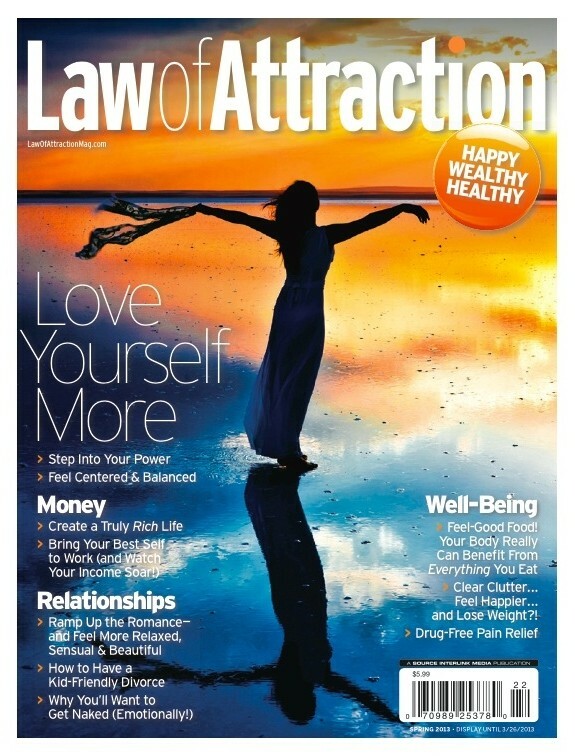 I found their website www.LawofAttractionMag.com and then their Facebook page www.Facebook.com/LawofAttractionMagazine. Before I knew it, I was emailing the Editor-in-Chief proposing an article on how the law of attraction has worked in my life. The opening paragraph of this post is a quick snip-it from my published article, Happy From the Inside Out, which is a “Real-Life Success Story” appearing in the GET HAPPY NOW section of the Spring 2013 issue of Law of Attraction magazine hitting newsstands TODAY, January 22, 2013. If you’re not familiar, Law of Attraction magazine is a quarterly, special interest publication which is available globally in Australia, Brazil, Canada, Hong Kong, Mexico, New Zealand, Puerto Rico, Singapore, Thailand, United States, and U.S. military bases domestic and abroad. My article is about how… “Outwardly I was confident, happy, outgoing, and positive, but on the inside I was insecure, cruel, skeptical, and negative. My inside was diametrically opposed to my outside. I certainly could talk the talk, but in no way could I walk the walk. For most of my life, I wore a protective armor made of happy optimism, but my inside in no way matched my outside.” In total… 1500+ words detailing how I made my insides just as happy as my outsides. I have a feeling there are many of us who hide our negativity… my negativity just started eating away at me. What you think, say, and feel goes out into the universe. You call it back to you. If you’re miserable and focus on it then you manifest more misery. What you put out into the universe comes back to you. Kinda like Karma. I’m thankful my article is in The Law of Attraction magazine because I whole-heartedly believe in the law of attraction. If you’re not familiar with the principle, then I highly suggest you watch the documentary/movie “The Secret” – it is both fascinating and amazing. If I’ve sparked your interest and you’d like to read more of my article then you can find the magazine at most Barnes and Noble, Target, Safeway, Walgreens, Kroger, Books-A-Million, Wal-Mart, Giant, CVS, SuperValu, Costco and other major retailers (the picture used in the opening is the actual Spring 2013 cover so look for it!). Since it is a quarterly publication it should be available in stores for the next few months until the new issue is released. The print magazine also is available online at http://shop.absolutelovepublishing.com/Law-of-Attraction-Magazine_c5.htm and digital versions are available on Amazon.com, www.barnesandnoble.com, www.zinio.com, https://play.google.com/store, and through Apple’s iTunes store. The editor warned me editing would be a back and forth process and take a while. I cried two weeks later when she emailed me again, “Your article was so fabulous, I barely did a thing to it. I think I changed some punctuation and paragraph breaks, perhaps changed a tense here or there, and added the word “consciously” at the very end.” WOW! She called it Gently Edited. How amazing!! And finally I cried when the advanced copies of the magazine appeared in my mailbox two weeks ago. Tears welled up in my eyes as I held the magazine in my hands and I read my article on pages 44 and 45. A two-page spread!! WOW, oh, WOW! There on the pages were MY words. There was MY name in print. There was MY picture in the corner. AND… there was my BIO in a global publication. Thank you, God! This afternoon, I head back to the bookstore that started this journey and I plan to purchase my own copy. Well, truthfully I will purchase several copies! How much you wanna bet I will be crying at the cash register? I hope I don’t freak out the employees!! Here is to lucky cry number five!! Ha! I’m thankful my dear friend Laura is going with me to the bookstore in case someone needs to calm me down!! And this weekend my friends and I have several publication celebrations in the works. I’m so incredibly grateful for all the support and encouragement I’ve received from my friends and family. I’m so incredibly blessed!! Moral of the story? Is there something YOU have always wanted to do? Is there a goal that is written on your heart? 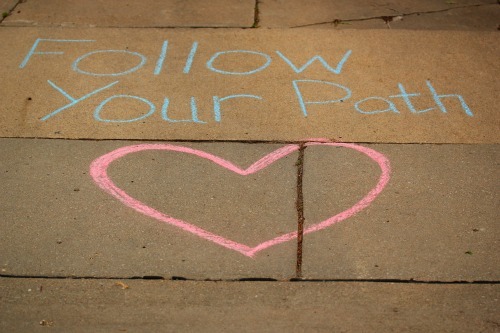 When God puts a dream in your heart, He intends for you to do it, so adjust and navigate accordingly… obstacles are there to test you… to determine how badly you really want your goal… skip over those hurdles… never give up… until you make your dreams come true. And then one day, you too can look back and say, “Once upon a time… I wanted to _____________ and I did it!” Go ahead… fill in YOUR blank!! God bless you for living your soul (note I didn’t say dream). Living your conscience (soul) is much more important and healthy. Congratulations on your great accomplishment and after you’ve had a short while to bask in the personal satisfaction (and gratitude)…. set your next goal a bit higher and you will blossom like the Lotus Flower that is a symbol of the soul. BE well. Thank you, Michael 🙂 I love the idea of “living my soul” thank you for sharing this new idea with me!! God bless you!! Awe, thank you so much!!! For years, I my dream was to be a singer/songwriter … but that was all … I just dreamed it, but I never did anything about it. Over the past year, I finally took the plunge. Fortunately, I don’t need to make a living from it, but I do need to follow my bliss and my muse … and it feels good. I am a self-professed late bloomer and a chronic procrastinator. I’m running a bit late, but I’m finally on my way! How wonderful and I know from your words on line that I read and enjoy: highly deserving. Congrats Renae. THANK YOU SO MUCH for your encouraging words of support!! You’re amazing!! That is so true! 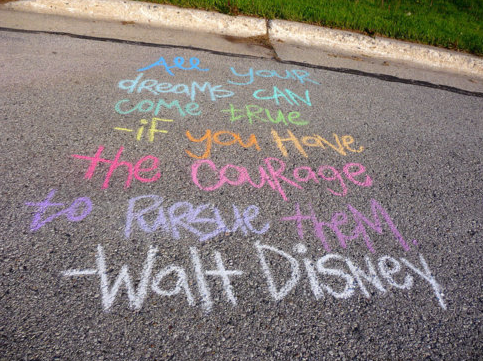 Only when we are fully following our dreams can we outperform and make them real. I understood this only some time ago and I’m on my way to it now fortunately. 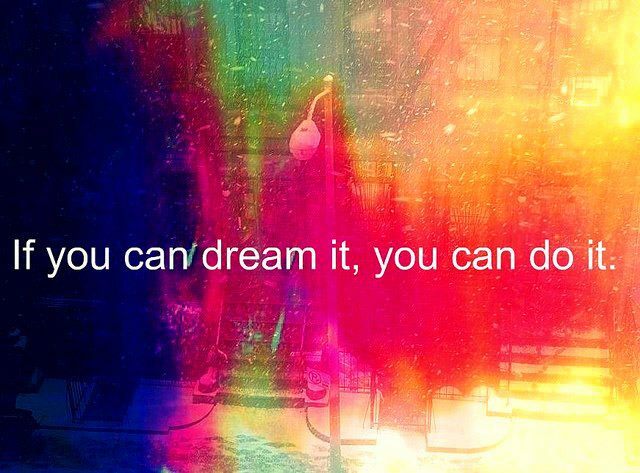 Believe it and you can do it! We’re surrounded of examples of other persons doing so, (you are one more Renae! ), but we tend not to see them. Dream, dream and dream again! Renae, your post contributed to remind me by to give up too early! 🙂 thank you! YEAH FOR YOU!! Cant wait to toast you this weekend! Love this! Cant wait to toast you this weekend. Congratulations! It was such a LOVELY celebration!! Thank you 🙂 xo! THANK YOU, Barbara!! Yes, I’m very excited. You’re so right… the first is pretty spectacular 🙂 Well, right now I’m pitching ideas to all sorts of magazines and working on my own book… so stay tuned for updates!! Thanks again, xo!! Absolutely wonderful. Congratulations! And yes, a reminder for us all. Congratulations! Yes, so important to have dreams. Hooray! So happy for you and all your happy tears!!!! Awe, thank you so much!! God bless you and yours!! very thoughtful and most inspiring. best of luck with all your future dreams as well. Congratulations!! I also have a dream of becoming a published writer. My dream is to publish a book one day. I written scientific articles, most of the time as a ghost writer. Twice, I was the second author on an article, one of which was published in a decent journal. 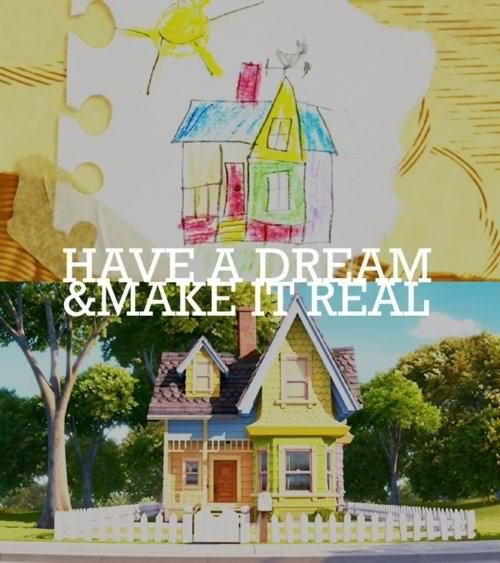 But that’s not my true dream. You should be so proud. Congrats on making a dream come true. You wrote: “For most of my life, I wore a protective armor made of happy optimism, but my inside in no way matched my outside.” I can relate to this so much. I still wear protective armor, mostly around my heart. I wrote a poem called Master of Self Deception on my blog site – it’s how I saw myself at that time. I wish you all the best in future writing endeavors. I can’t wait to read your article and check out this magazine. Take care. Thank you, Kathy!! You’ve had such phenomenal experiences… I know in my heart you will achieve your dream of publishing your own book!! I too am in the process of crafting a book. I can’t wait to see it on bookshelves. I can only imagine how many happy tears I will shed for my book… based on how many were shed for my 1500 word article. Ha! And, yes I think we all have our own version of protective armor… whether it be avoidance, humor (self-defeating or otherwise), positivity, or the like. As soon as we recognize the glare reflecting off our armor (which unfortunately some never see), then it is our duty to rid ourselves of the faux-protection… if we can… if we dare!! Take care of you and yours, xo!! Congratulations! Your excitement made me excited reading about it!! Thanks for stopping by. Awe, thank you so much for your congrats Joy!! God bless you!! I happened to be in CVS tonight just buying some things I needed. I’ve been feeling down lately and have been my own worst enemy. I happened to see the title of the magazine you were published in and knew I had to buy it. Thank you for your article. It was very uplifting for me. Congratulations on a job well done. Oh, thank you!! Your comment makes my heart sing with joy!! We are all faced with those down moments… I’m so happy my words helped lift you up!! Yes, our worst enemy stares us back in the face from the mirror… unfortunately!! That is EXACTLY why I write and why I created candy coated reality years ago… as a reminder that the reflection that I see is actually my best friend and I should treat her as such 😉 Thanks again for your support, Jeannine!! Congratulations on attracting the good things. 🙂 I have just started hearing about the Laws of Attraction, mostly through Super Soul Sunday on OWN. Luv it! By the way – thanks for stopping at my blog. Super Soul Sunday is amazing! I find myself wanted more programming like it. A good thing for people to know is not to wait until your life is completely destroyed and you have let yourself get choked with stress and anger that you are crippled or in such a bad state that you can barely come back to yourself. I made the mistake of “staying the course” through so many bad things, that it was only after I ended up on anti-depressants because of my lovely career choice and stopped caring about everything, including that job that I knew I had to leave it and try to get my life back again in some way. It took over a year and getting off those horrible meds, I would recommend quitting a job before taking anti-depressants, before I even started to see that I didn’t suffer from early dementia, but was being destroyed by the life I chose to live(and the meds). To everyone else I was a success. Great job, nice home, purchased on the high end of the market, so that was a bust as well, but everything began to crumble, including myself. It’s hard to live any life without the love and support that is needed. I decided to be my own love and support after the ones I loved passed and made sure to stay away from the ones that were bad influences in my life. Blessedly, the story is not over and I still believe that everything is going to work out for the good before I leave to actually go home. Good luck and God bless in all that you do. Thanks for stopping by my site. Yes, it is amazing how a life can look so shiny, perfect, and pristine from the outside when on the inside it is crumbling and dark. I’m so happy to hear that you left the career that brought you so much misery and more importanly that you “decided to be my own love and support” – that is AMAZING!! Keep up the great soul work 🙂 I’m so happy to hear things are looking up for you!! Thank you, xo!! God bless!! Congratulations on fulfilling a lifelong dream! I am so happy for you!! It’s always such a wonderful feeling when you accomplish a goal of yours!! God Bless and again Congrats!! Thank you, Terri 🙂 Yes, I’m super excited and thankful for each of my blessings!! Wishing you all the best!! xo!! 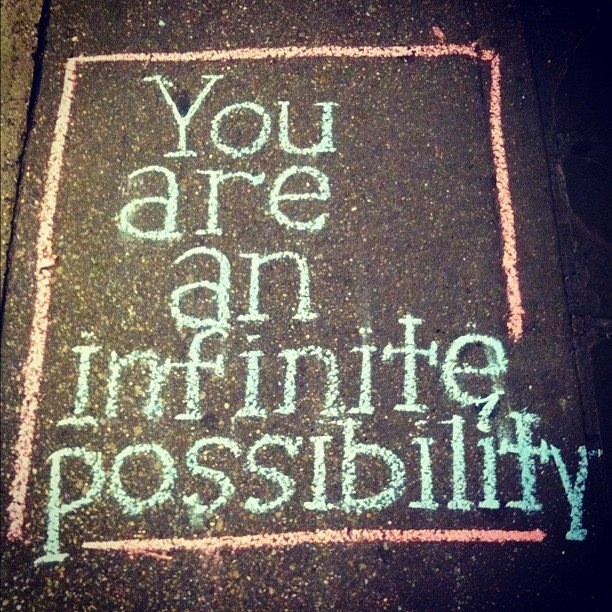 As soon as I saw the words,”Law of Attraction”, I knew I had to follow your blog. My daughter says I am a world class manifestor. I’ve read everything I can get my hands on regarding this subject. I subcribe to the daily Abraham e-mail for extra boosts even though I have all their books. It doesn’t mean there are no challenges left. I could write my own book on this subject but I’m looking forward to seeing what you have to say. I had no idea there was a magazine on the subject but I will search it out this week. I need a reason to go to the bookstore again. 🙂 Thanks so much for this post. You’re a “world class manifestor” eh? I bet I could learn a lot from you 😉 Thank you for your kind words and following candy coated reality!! Did you ever find the magazine? If not and you’d like to read my article then email me at candycoatedreality@yahoo.com and I will send you a scanned copy of the article at least!! Thank you for your reply. I am sending you an email as I was unable to locate the magazine. I forgot to say congratulations. I would be crying too if it happened to me. I feel your joy. And, thank you again!! You’re to kind!! Your congrats means a lot to me!! God bless, xo!! Wow – Awesome!! To God be the glory! Yes, AMEN… to God be all the glory!! Thank you 😉 Many blessings to you!!! Laura, THANK YOU so much!! Keep dreaming, my friend!! xo!! hi Renae, Thanks for looking at my blog “the Bllu Room”, I hope my writing inspired you. I hope you’ll follow me more. Congratulations on being published! Keep them coming…..
And thanks for dropping by and liking my post. Awe, thank you so much!! Blessings to you!! I love all that you wrote… no worries that English is not your primary language 🙂 Couldn’t agree with you more… well said, my friend. I’m so thankful you found Candy Coated Reality!! Keep writing and sharing love and light!! God bless, xo!! You are too kind!! It makes my spirit sour with such happiness when someone tells me I’m a great source of inspiration!! THANK YOU so much!! Wow, how great to read this!!! I really needed this! Hope to read lots more of you! Thanks, Erica!! If you never found the magazine… then email me at candycoatedreality@yahoo.com and I’d be happy to at least send you a scanned copy of my article 🙂 xo!! THANK YOU!! And I will def checkout Tin Drums. I just took another peek at your blog and noticed you listed me on your blog roll. OMG, I’m so honored!! Thank you doesn’t seem like enough to express my gratitude!! God bless you and yours!! Oh, my!! Thank you so much for your love!! So happy you’ve found Candy Coated Reality!!! A very very inspirational post by an inspirational writer! You’re too kind!! Thank you so much for reblogging!! I’m humbled by your words of support and encouragement!! Congratulations on facing you and meeting the real YOU. Can’t wait to read your article. Outstanding post. This is a very inspiring reminder to move on those goals and dreams. Also thank you for reading and liking my posts. AWESOME!! Thank you, Carolin 🙂 Email me at candycoatedreality@yahoo.com if you couldn’t find an issue… and I will email you a scanned copy 🙂 I so appreciate your congratulations! !